Just awful news out of Toronto. 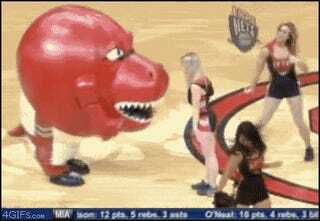 The Raptors' mascot, creatively named The Raptor, suffered an injury to his Achilles tendon last week, and is done for the year. Why even bother playing the season? 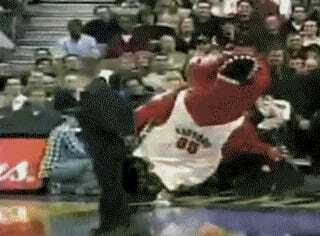 The Raptors were in Halifax for training camp, but the dinosaur mascot didn't break down during a scrimmage. 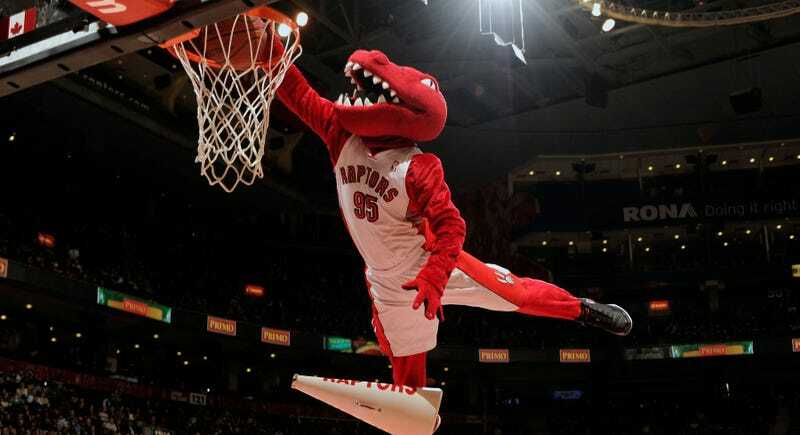 No, poor Raptor was entertaining kids at a local school, no doubt delighting them with capering dunks when he blew out his Achilles. The children must have been traumatized. Everyone else was. “My daughter cried,” coach Dwane Casey said of the news. The team says it's working on a backup plan, which the coldhearted among us might assume is putting another person inside The Raptor suit. It wouldn't be the same, and everyone will know. Magic is a tangible thing. So is heartbreak.